After several interesting trials with both Ayahuasca and smoke-able N,N-Dimethyltryptamine (DMT) it seems only natural to want to find a way of optimizing their positive potential while addressing some of the disadvantages one can encounter otherwise. The Ayahuasca brew with its monoamine oxidase inhibitors (MAOI) and their dietary requirements can take a week or more of intense dieting to reach the optimal body conditions, those required for a healthy Ayahuasca experience. On the other hand, DMT is a hard hitting short acting substance; one that leaves little time for the mind to make true sense of the experience. Nevertheless, by using what has been coined Changa; a smoke-able mix of Harmala containing plant alkaloids and DMT, one is able to reach a sort of compromise between both parties. 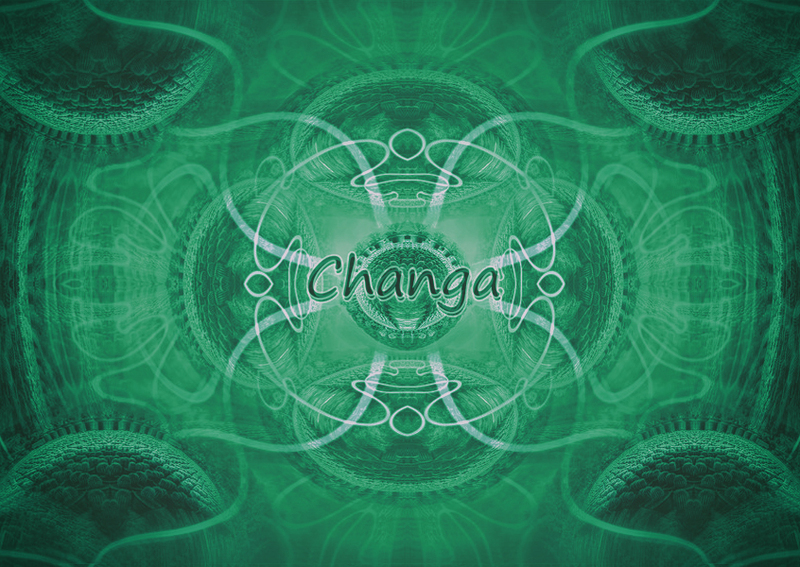 Changa can be made from a variety of plants that contain the two key ingredients Harmaline (MAOI) and DMT. Both compounds are active when smoked and thus give a variety of options when creating a medicinal blend. Personally, I've found a blend of 10 x B. caapi leaf extract (a MAOI constituent) on dried Passiflora incarnata flowers (another MAOI containing plant), with the addition of Acacia DMT to be the most effective mixture possible. The ingredients are blended and dried together to make an almost black colored smoking mix that is rather harsh, but nevertheless, effective. The effects of Changa are similar to that of Ayahuasca; with a more gradual onset than pure DMT alone. The Changa experience gives one time to make sense of the visual landscape. It can give an initial peak - much like a DMT flash. Nevertheless, unlike DMT, it offers a slow and steady duration that lasts some 20 - 40mins.. Changa also takes some time to build-up a compound body tolerance, because of its MAOI constituent. Whereas, pure DMT is a one hit wonder, of sorts. Therefore, a Changa trip can be extended by an additional hit every 30 mins, or so, for about 2-3 hours. Making Changa a much more spiritual experience. One that resembles that of Ayahuasca.